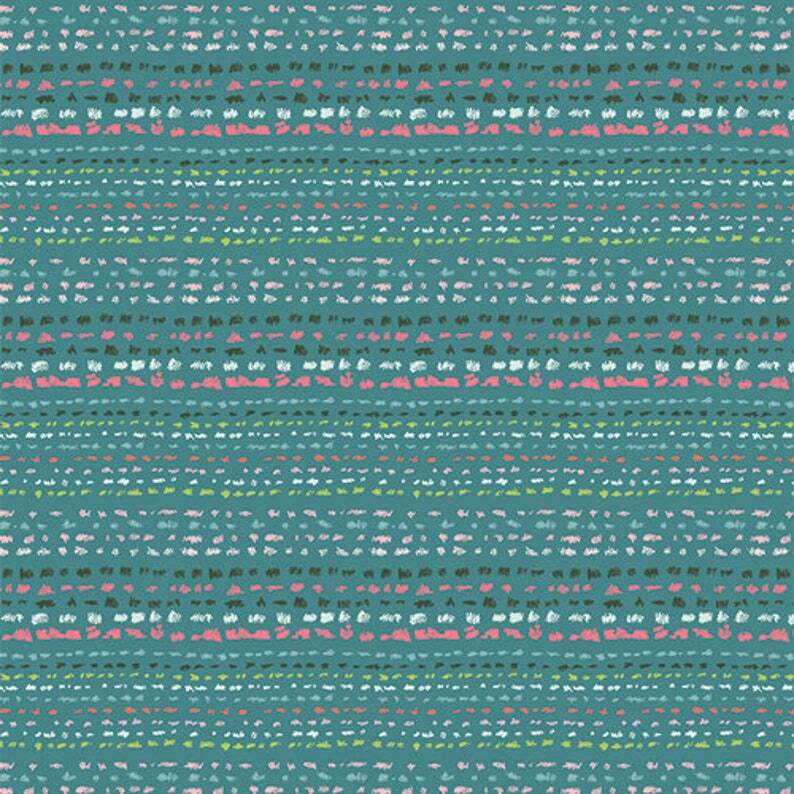 Traveler Raindrops, is made up of rows, or stripes, of various sized, multi-color, dots on a teal blue background from Signature - a line of fabric designed by Sharon Holland for Art Gallery Fabric. This is small scale piece is a nice blender to pull the colors of the line all together. The feel of Art Gallery's fabric is truly amazing. It has an almost silky hand to it, making it perfect for not just quilts, but also skirts, table cloths, curtains, dresses or shirts. Enter quantity needed. (For example, if you need 2 yards, entered a quantity of 2 (1) yard pieces). Fabric is cut as a continuous length unless you request otherwise. If you need less than one yard, convo me and I will put up a custom listing for you. 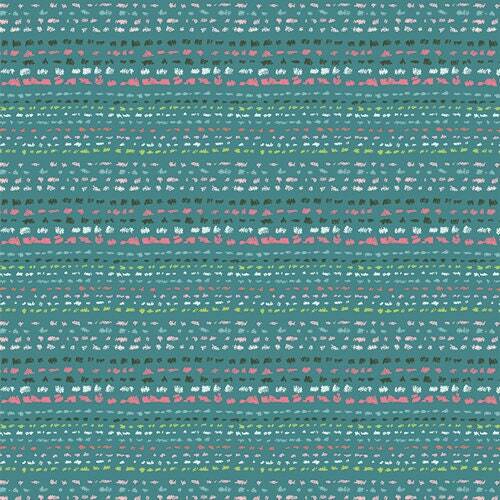 If you would like a cut smaller than one yard, please use the listing shown at the top of the home page for my shop. Domestic shipping is $6.99 for any order. International shipping is calculated by weight and destination. Please contact me for a shipping quote. I will combine product to achieve the most economical shipping possible. My shop is smoke free.